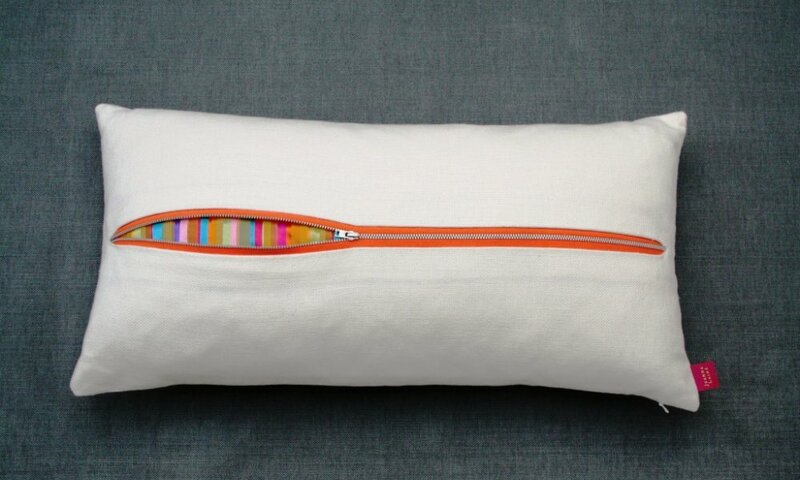 60cm by 30cm cushion in white linen with a tangerine metal zip detail revealing a candy stripe silk fabric inside. 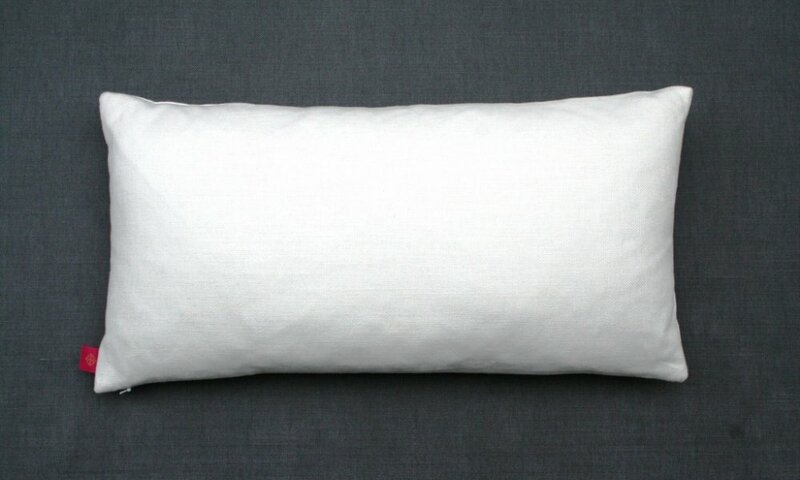 The back of the cushion is in white linen, with concealed zip closure, feather pad and brand label. This cushion is dry clean only. Each Slash rip cushion is handmade and therefore might have slight variations form the image shown.